Cooking has not been at its best for the last few months with the summer heat killing my boys' appetite. But with a cool change, I can see their love for and request for food growing. Today's recipe was a special Easter breakfast request from them and though I am down with flu and fever, I simply couldn't ignore it. 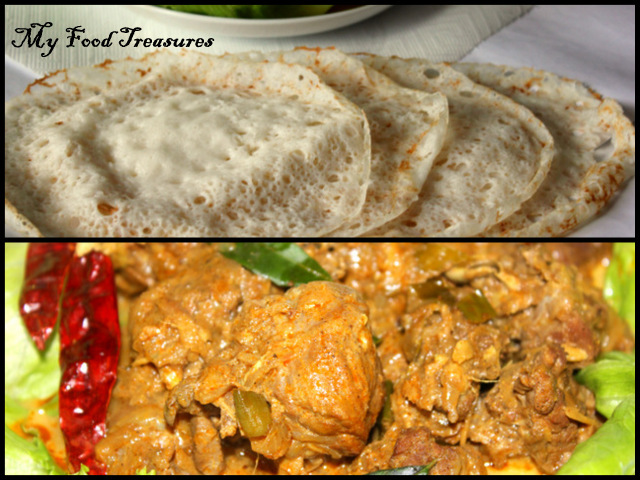 Tharavu mappas is a spicy preparation of duck in coconut milk and is a speciality of Kuttanadu region in Kerala, otherwise known as the Rice Bowl of Kerala. So yes, this curry is also another speciality from my MILs kitchen. 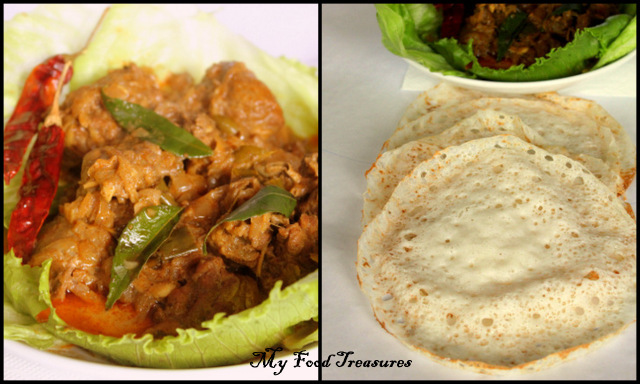 This curry, like all her Kuttanadan specials, is her special work of art in the kitchen. The sharpness of the roasted spices is well balanced with the sweetness and richness of the coconut milk. The potato pieces soak up rich fatty gravy and in my mind I have a never ending battle trying to chose between the potatoes and the duck pieces in the curry. The rich aroma of the coconut oil and the heavy spices fill your household but you have to taste this to appreciate the depth of flavours in this dish. Let me take a few clicks before my boys lick the curry bowl clean; we are celebrating Easter in Kuttanadan style this year. Happy Easter folks! 1. Coarsely crush onion, ginger, garlic and green chilly and keep aside. Mix all the spice powders in water to make a thick paste and keep aside. 2. Heat coconut oil in a pressure cooker over medium heat. Add crushed onion mixture and salt and stir until it turns light brown. Add curry leaves and stir. Now add the spices soaked in water and stir to mix well. Keep roasting over low flame until a fresh roasted aroma rises. Add the duck pieces and mix until the spices coat well on them. Add thin coconut milk with vinegar and salt to taste. Pressure cook for 1 - 2 whistles. (The time to cook may depend on the size of your duck pieces). When the pressure dies, open the cooker, add cooked potato pieces and heat it over medium heat. Add thick coconut milk, mix well and when it is about to boil remove from flame. Very tempting recipe.I am not used to have ducks,but i am doing to try the recipe with chicken. Very tempting snap, never tasted duck in my life, but got to say it looks yummy , have seen a similar preparation in Master Chef!! Also the idea of placing the duck over lettuce leaf is great, gives the authentic feel. Love the appam anytime!! Love the creamy and rich texture of the gravy,tempting clicks. Mouthwatering..vayyil boat odikkaamm..Yummy ,Hope u had a great Easter!! Happy Easter and I am going to try this with vegetarian duck. duck and appam!! my what more tempting than this...already craving for it. happliy following ur space..do drop by mine as well. Will try once for sure !! Wonderful presentation, yummy & rich curry! appam and duck!!! irresisitable combo!!! think its our blood. :) Also, do feel free to drop by my new blog - pick quicks when u get the time...glad if u wud be a follower there as well.